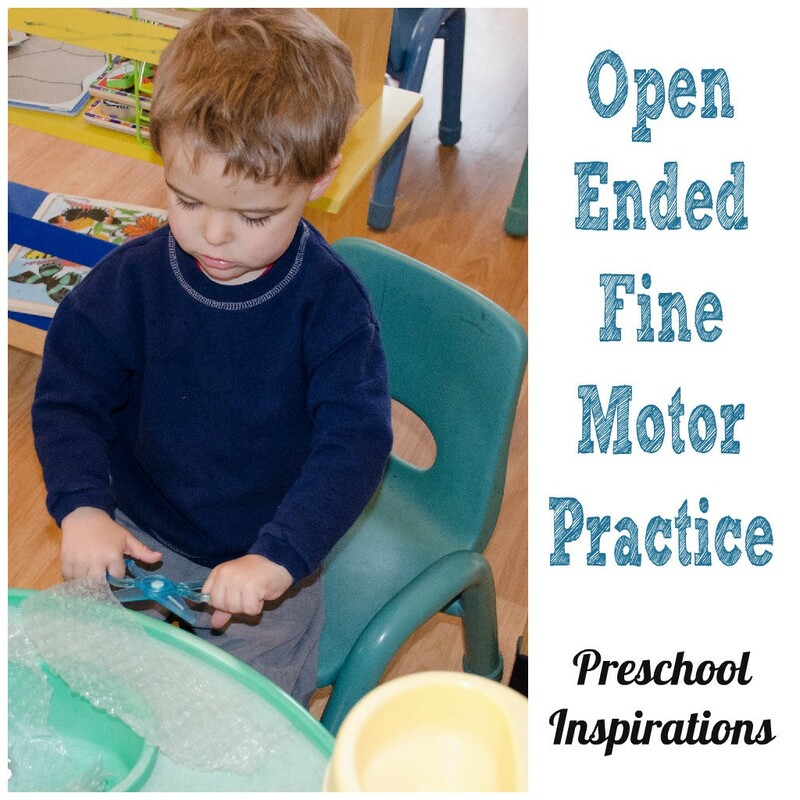 Need some perfect and inviting ways to promote fine motor practice? 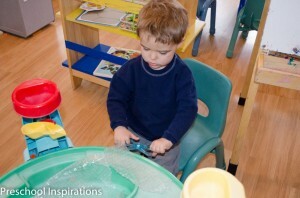 These scissor practice ideas in our sensory table have been incredible. 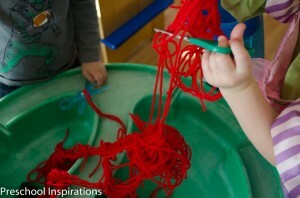 Oh, how I love activities that are open-ended and encourage creativity. For scissor practice, I used to set everyone at the table and give them papers to cut — this is what I saw teachers doing for years. I decided to step out of this train of thought and try a more adventurous method. 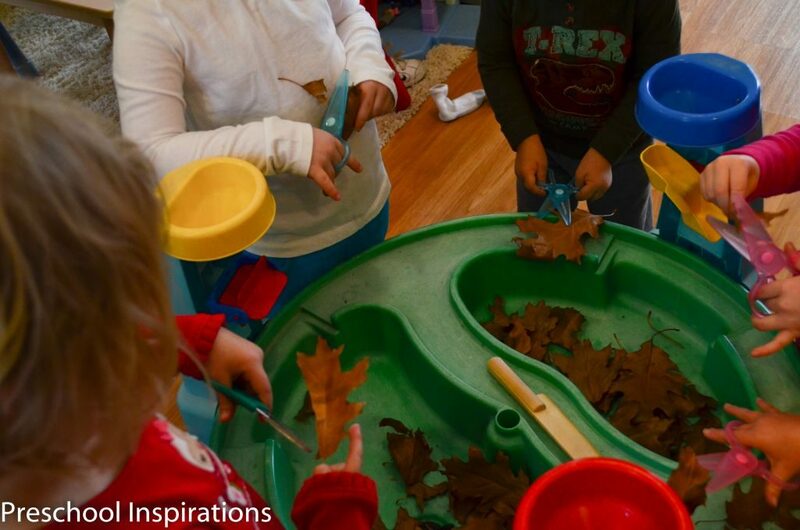 To transform cutting into an open-ended project, I have been turning my sensory table into a fine motor table for about a week out of each month. This has completely changed my outlook on the use of scissors as my class has been advancing in their fine motor skills by leaps and bounds! I find that when we all sat and the art table and cut, I could get children to participate for 2 seconds to 10 minutes, depending on their abilities and interests. 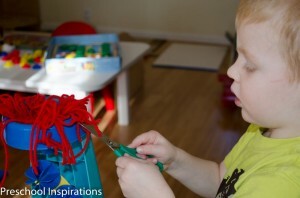 With the fine motor table, I have kiddos practicing scissor skills for up to 45 minutes. How awesome is that! The ones who have less interest are usually there for about 10 minutes. I have been completely blown away with the incredible difference this is making. 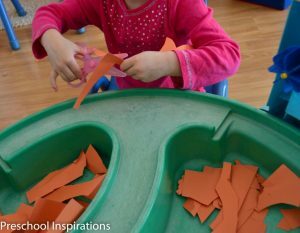 So are you ready to get your class or your kids to enjoy using scissors? I will even explain how I prevent them from cutting hair, shirts, and whatever else they have been “creative enough” to find. My initial thought process in using a sensory table was to encourage lots of scissor practice while containing the loose pieces that fell to make the mess an easy clean-up. So feel free to use any sort of container, bin, box, or anything else. Plastic Won’t Cut Hair Scissors and your typical kid safe scissors. If the child is struggling to cut with either of the scissors, I don’t spend a lot of time teaching technique. They are probably not quite ready to use scissors, and I have them do alternative activities. My son, Lil’ Red, was getting frustrated with the scissors, so I told him to just rip the paper. He thoroughly enjoyed ripping and was not bothered at all that everyone else was cutting. He actually picked the scissors back up a month later and had enough coordination to start using them with his own unique two-hand method. I love how he creatively put the yarn so that it was dangling over the edge of the container because he did not have an extra hand to hold the yarn. Children are so good at adapting methods to make them work best for them when we allow them the freedom to do so. So are you ready to hear how I help keep kids from cutting hair and other less desirable items? You might have even figured out the answer through the pictures. 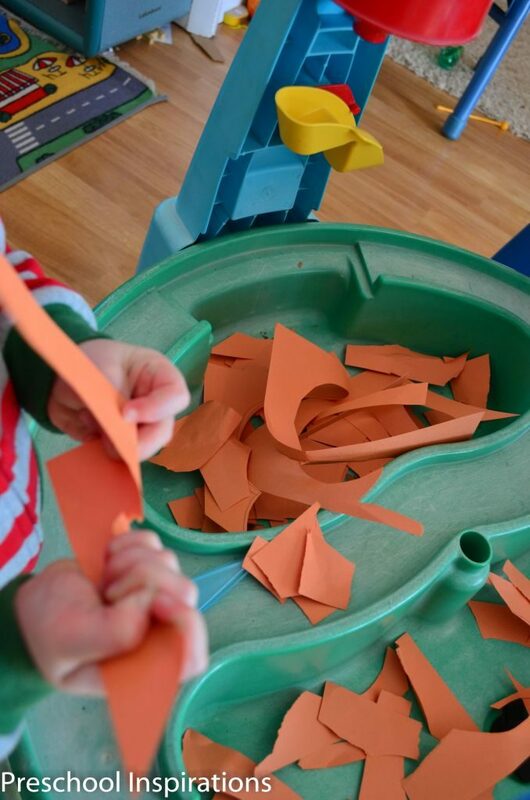 We don’t just cut paper, but we items such as leaves, yarn, bubble wrap, paper plates, and more. Lots of hair cutting comes from curiosity. 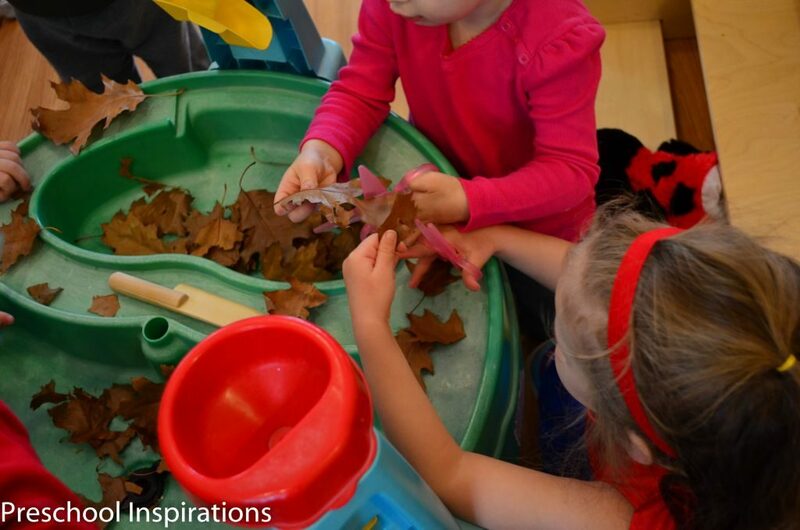 Children are driven to explore the materials around them. When you provide other objects, you are giving them a healthy outlet to practice cutting textures. This doesn’t mean that by providing textures that children will never be interested in cutting their own hair — afterall, they do see it in movies or when they are getting a trim of their own. Textures do take away from the temptation though, and of course, the scissors that are designed not to cut through hair are a pretty good backup as well. I would love to hear of any fun textures that your class or kiddos use!